Designs inspired by the work of early twentieth century furniture makers from the ‘Cotswold School’ including; Sir Gordon Russell, Ernest Gimson and Edward Barnsley. 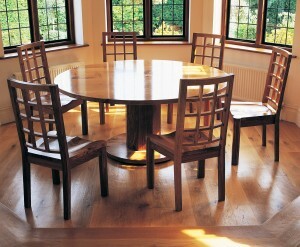 The selection and cutting of differing types of English oak is one of the hallmarks of these classic pieces. Tiger oak was chosen for the chair frames, table base and octagonal column. timber characterised by variegated colours from straw to burnt Sienna, striped by shimmering medullary rays. 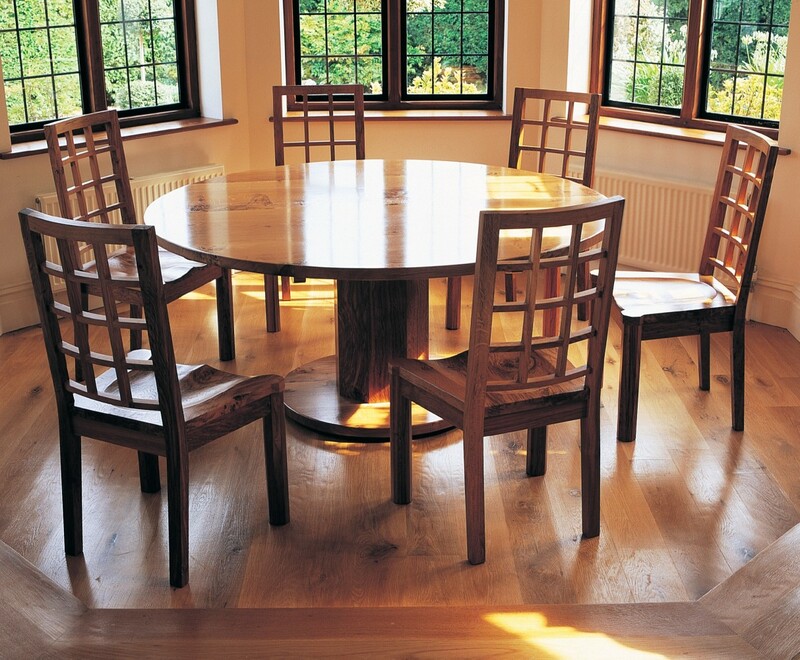 The table top and chairs seats are made from solid English burr oak, endlessly fascinating annular ring patterns. All components are revealed and enhanced by fine sanding and sealing and waxing.